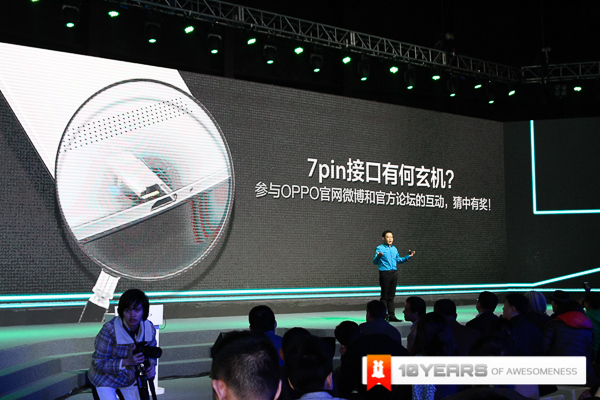 At their global media launch in Beijing, Oppo have unveiled their flagship smartphone, the feature-packed Find 7. 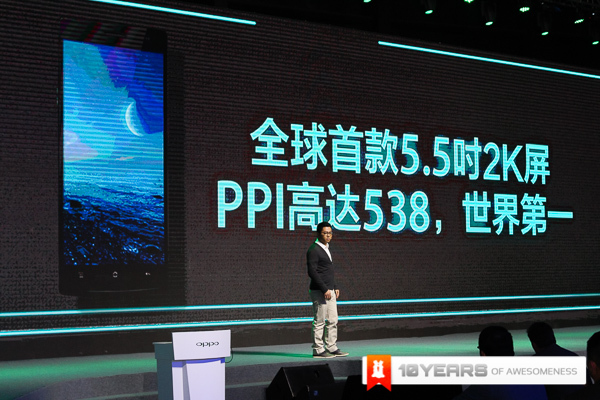 As expected, the Find 7 will be the smallest 2K display at a staggering 5.5inches and a resolution of 2560 x 1440 it gives a jaw dropping 538PPI. 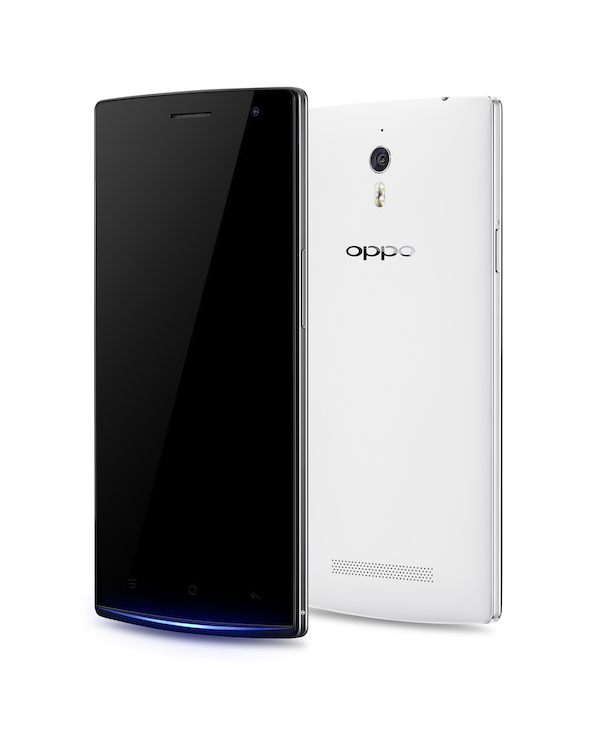 The Oppo Find 7 has a JDI-Manufactured Quad HD Display and is truly the smallest 2K display on the market. 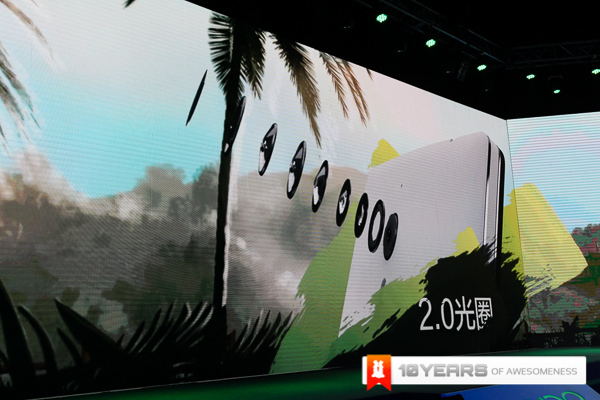 The Find 7 is powered by a 2.5GHz Qualcomm Snapdragon 801 Quad Core CPU with Adreno 330 GPU as well as 3GB of RAM. 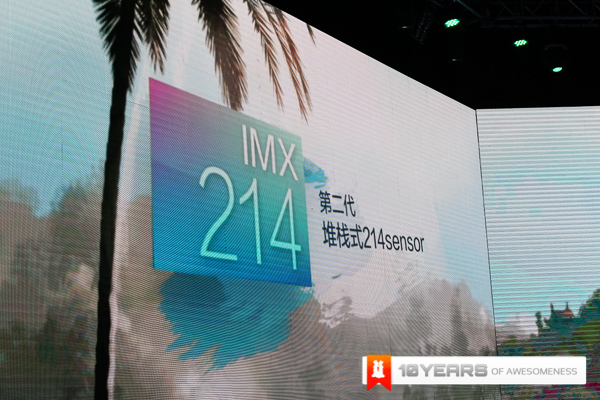 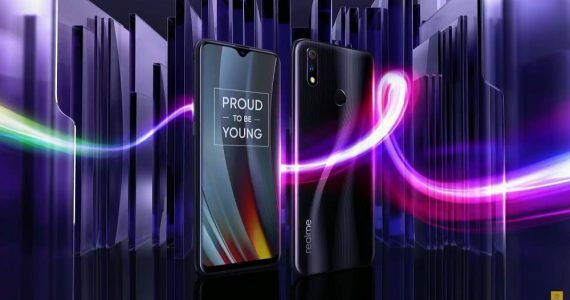 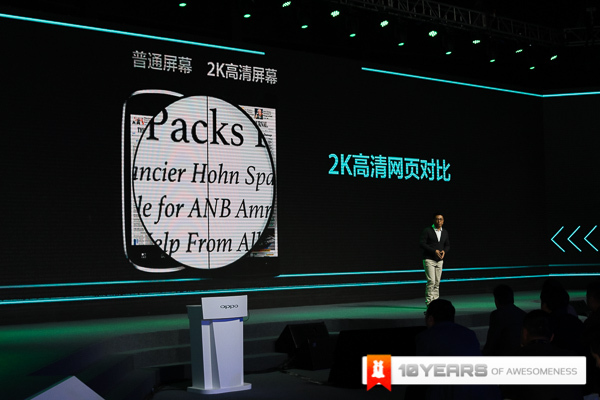 On the imaging side, the Find 7 will feature a 13MP IMX214 Sony Sensor with dedicated ISP, Dual-mode LED flash, f/2.0 Aperture lens as well as Pure Image 2.0 featureset that also includes a 50MP Super Zoom software enhancement suite. 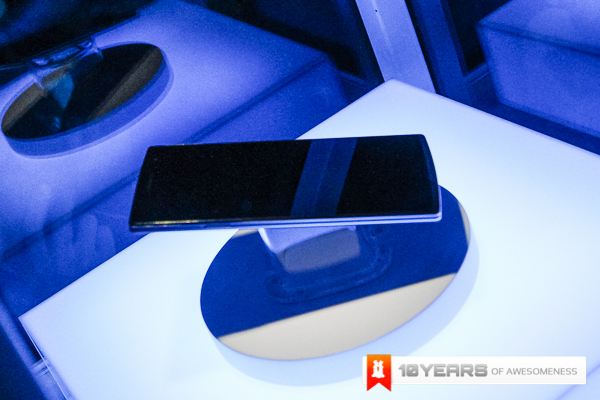 How exactly this works, is still a mystery to us, but as soon as we figure it out, we’ll bring it to you. 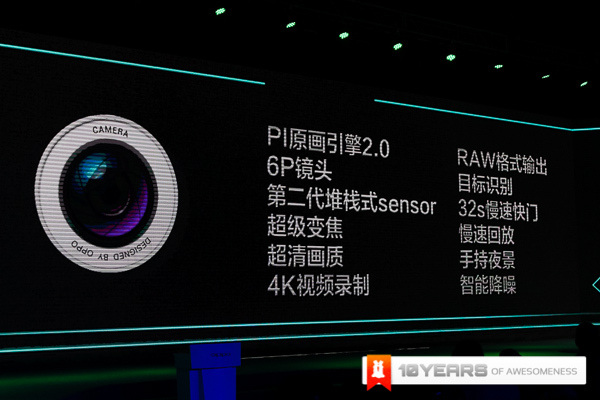 It appears that the sensor will shoot 10 shots continuously, before merging them into a massive 50MP image. 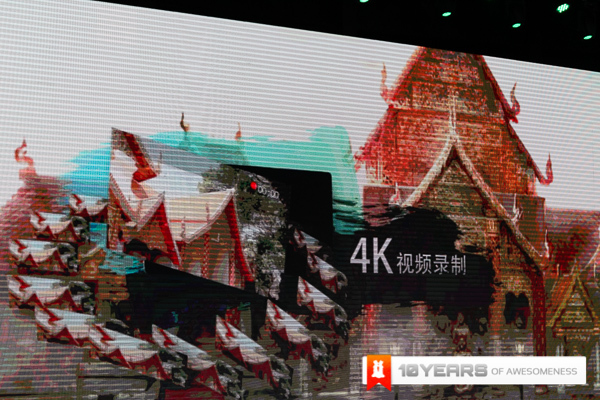 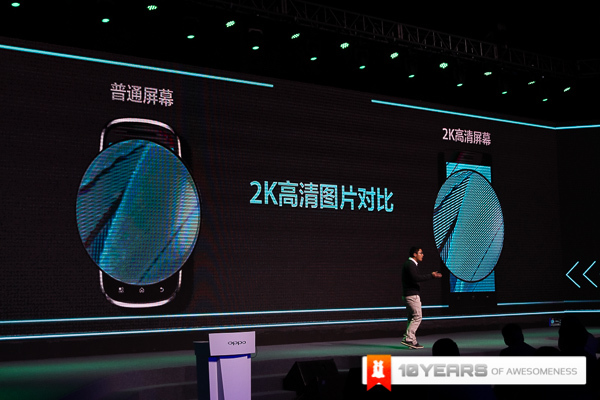 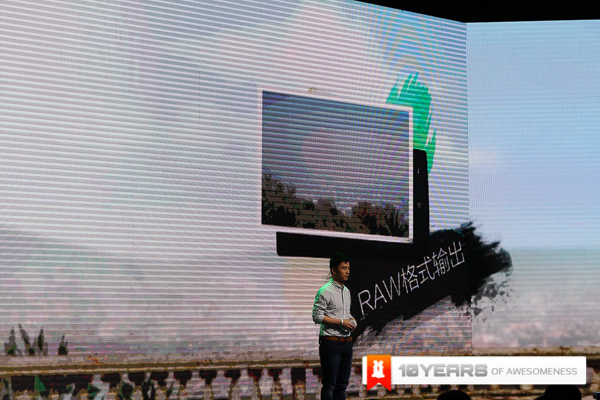 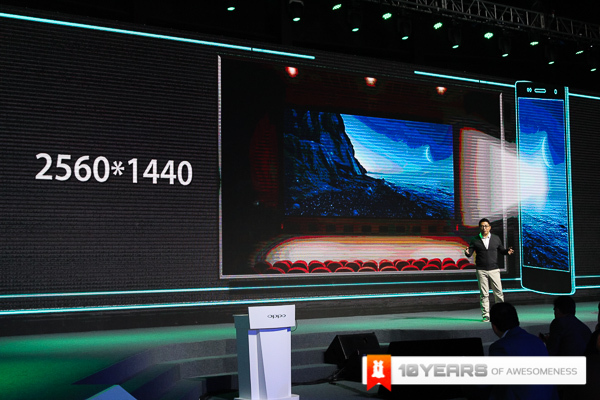 The Find 7 will also record 4K videos at 30fps and feature RAW file export, a crazy 32-second slow shutter speed, as well as a Hand-Held Night Mode. 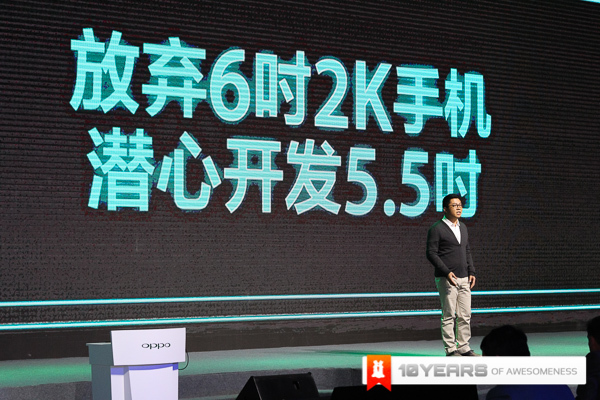 The Oppo Find 7 will also be the first smartphone to feature the MAXX Audio Mobile Technology. 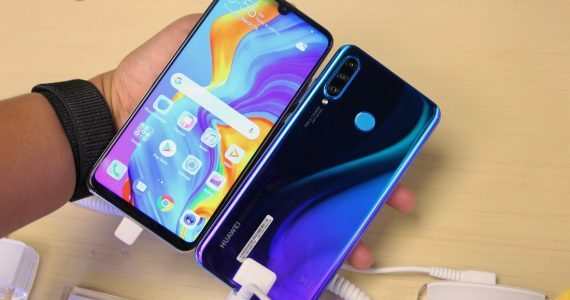 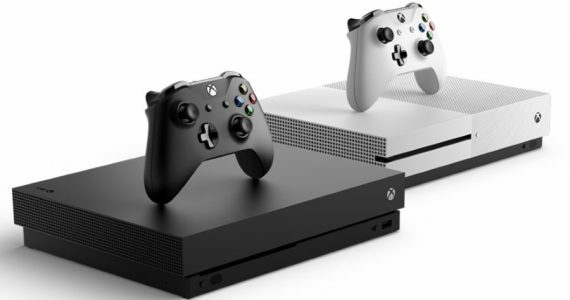 This software enhancement feature promises to deliver the best audio quality ever produced on a smartphone, while the MAXXEQ Equaliser allows you to have even greater audio control. 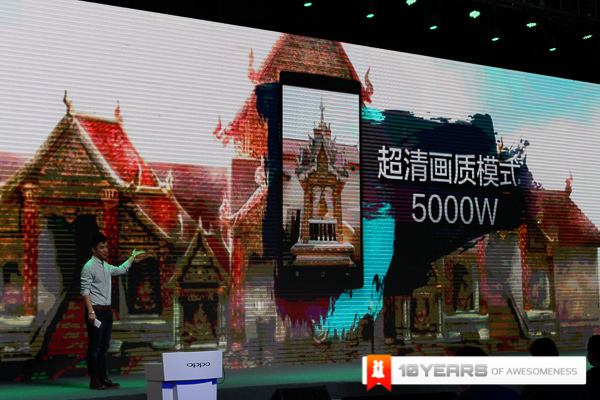 Wrapping up the features is the impressive 3,000mAh battery that has a brand new VOOC battery charging technology that can quickly charge your Find 7 from flat to 75% in just 30 minutes, this is pretty handy and 4 times faster than conventional chargers. 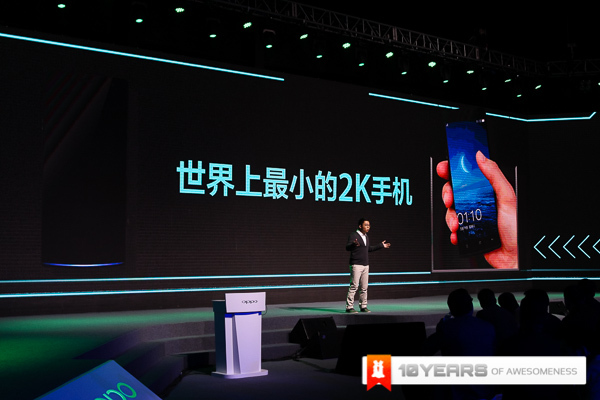 The lower-end variant, the Find 7a, will be on sale in China from March 20 (that’s tomorrow) for 2998 Yuan (around RM1590), while the flagship Find 7 will be priced at 3498 Yuan (around RM1850). 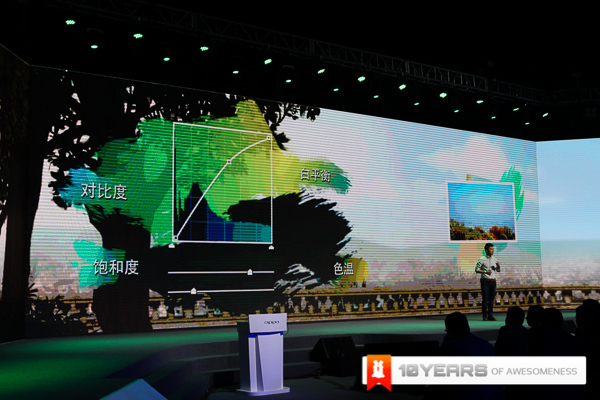 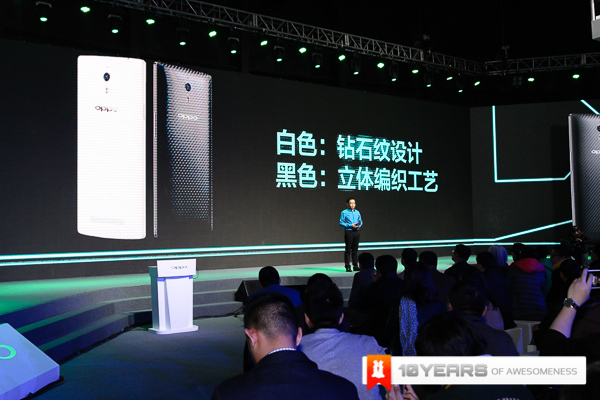 However, the higher end Find 7’s availability both in China and internationally has not been announced. 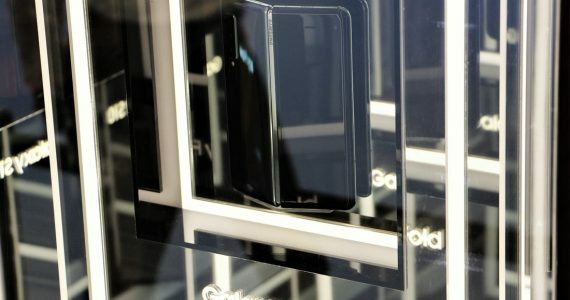 Check out all these features in action in our hands on video coming up very soon!